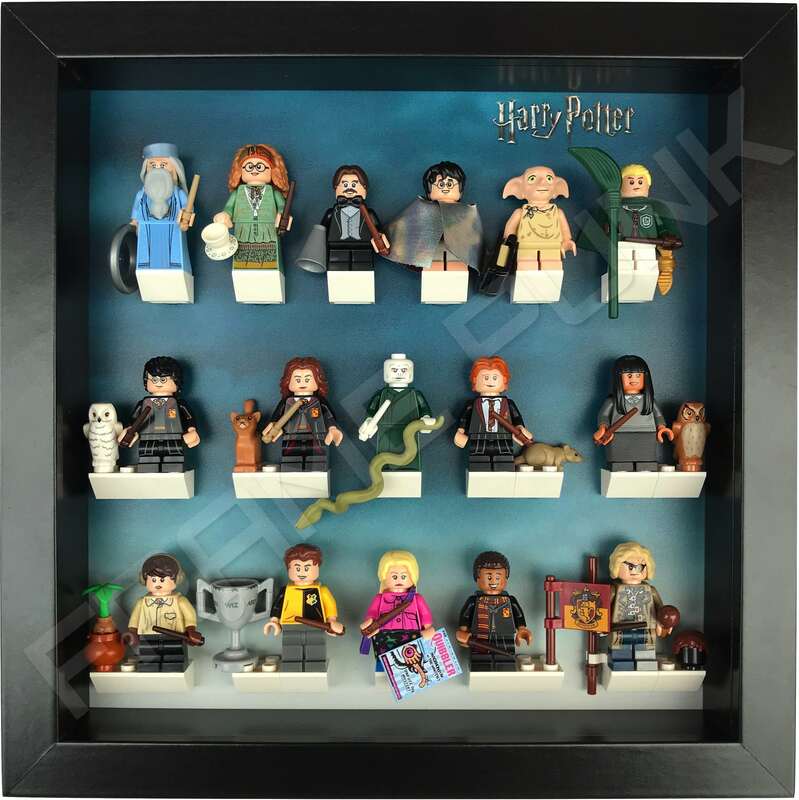 Turning your minifigures… into art! 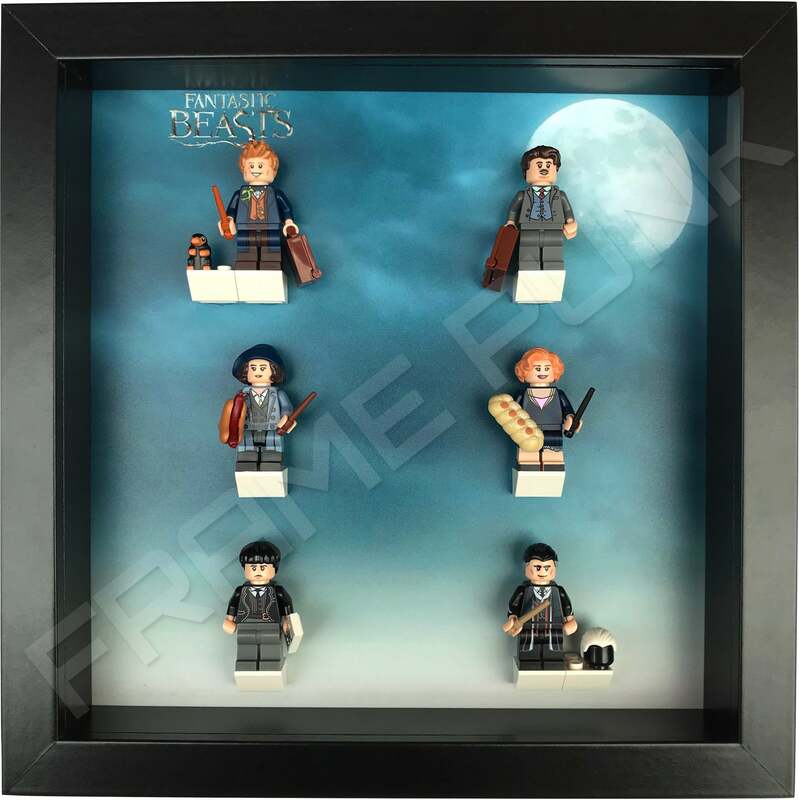 *The Minifigures that appear in these images are for display purposes only and are not included with the frame. 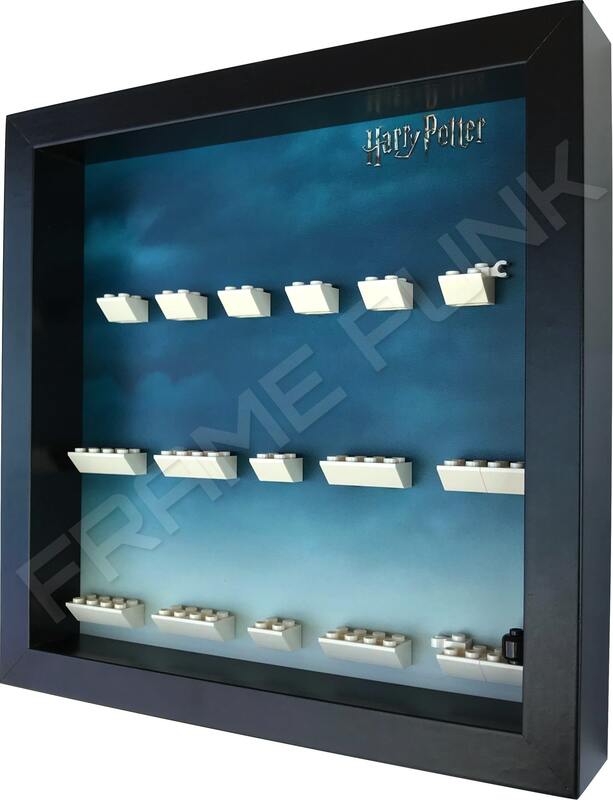 • Extra deep black frames with removable front panel. 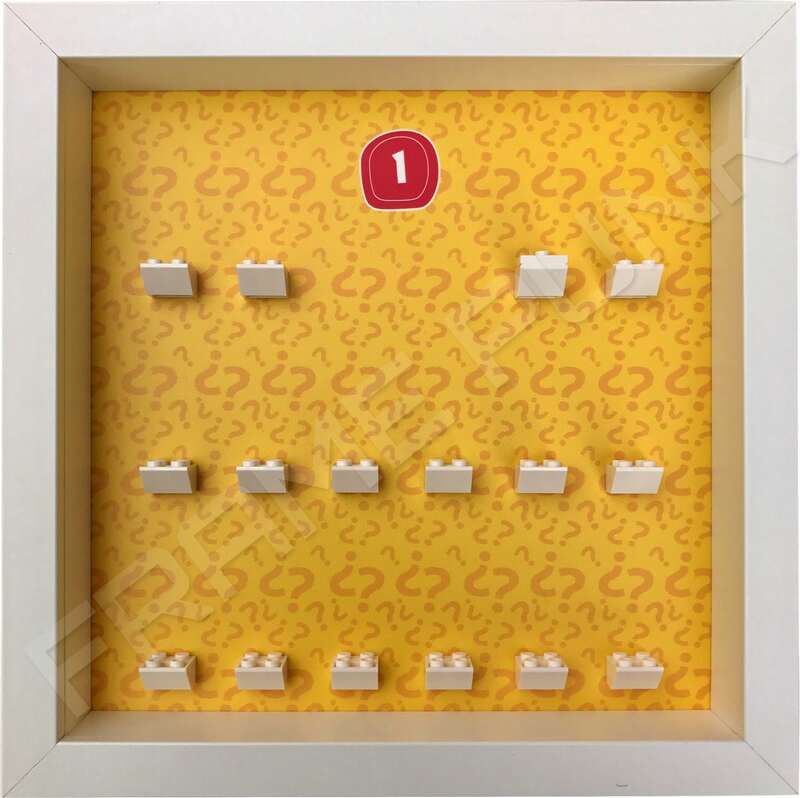 • Official LEGO white mounting bricks. 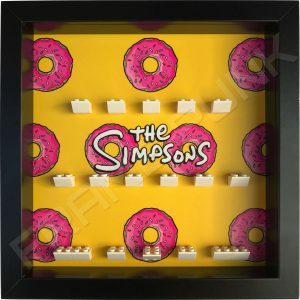 • Premium rigid display board providing a strong surface to mount your minifigs on. 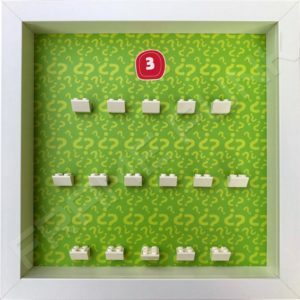 • Frames can be free standing on a shelf or table / Wall mounted. Almost certainly the biggest series to be released in 2018! 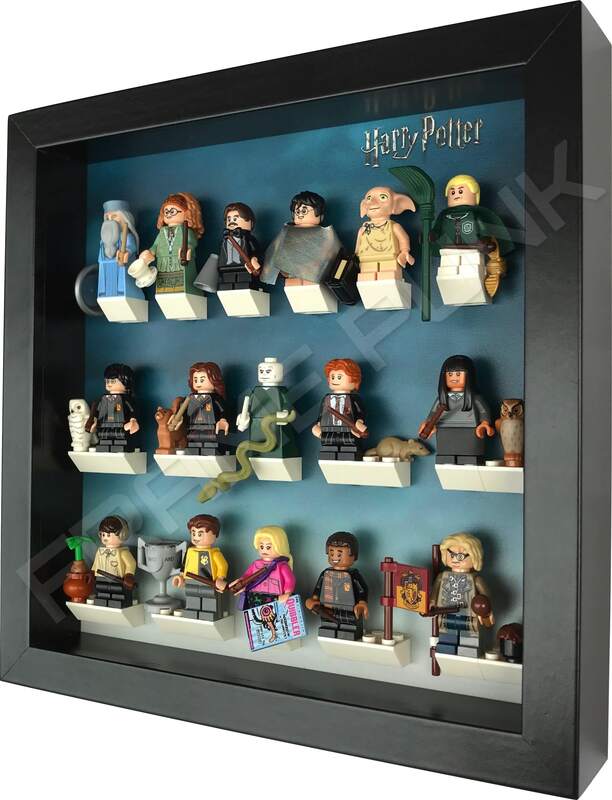 This series is 22 minifigures strong. 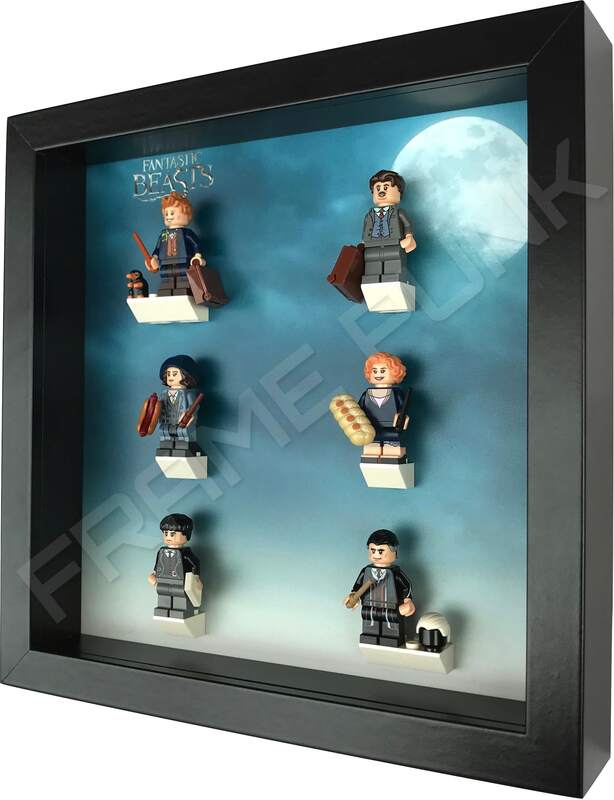 16 of the characters from Harry Potter and 6 from Fantastic Beasts. 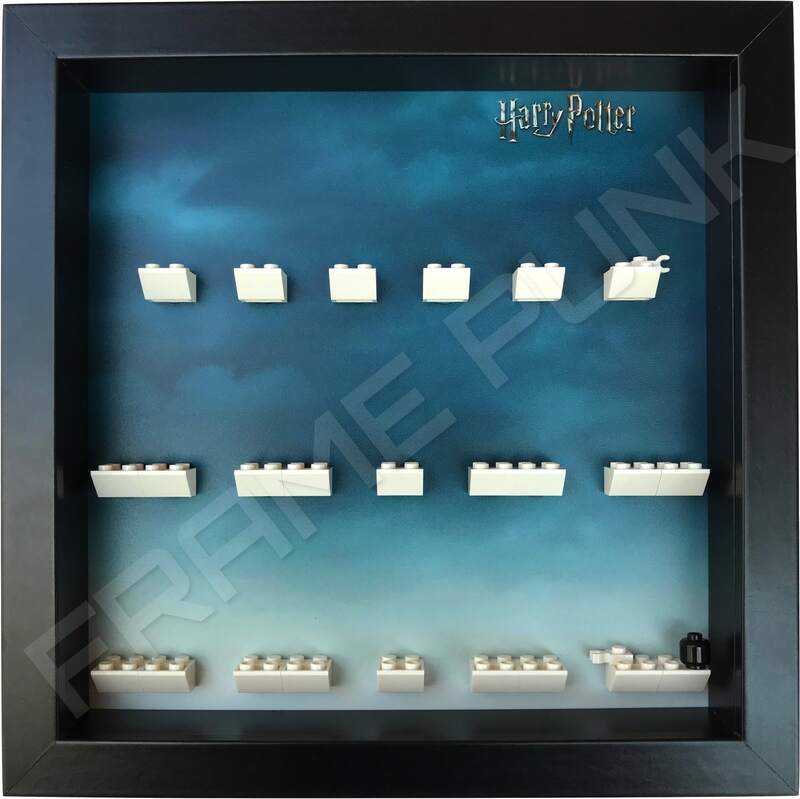 These Frame Punk frames display all 22 figures from the series with their accessories, the Harry Potter characters going in their dedicated frame and the Fantastic Beast characters going in theirs. 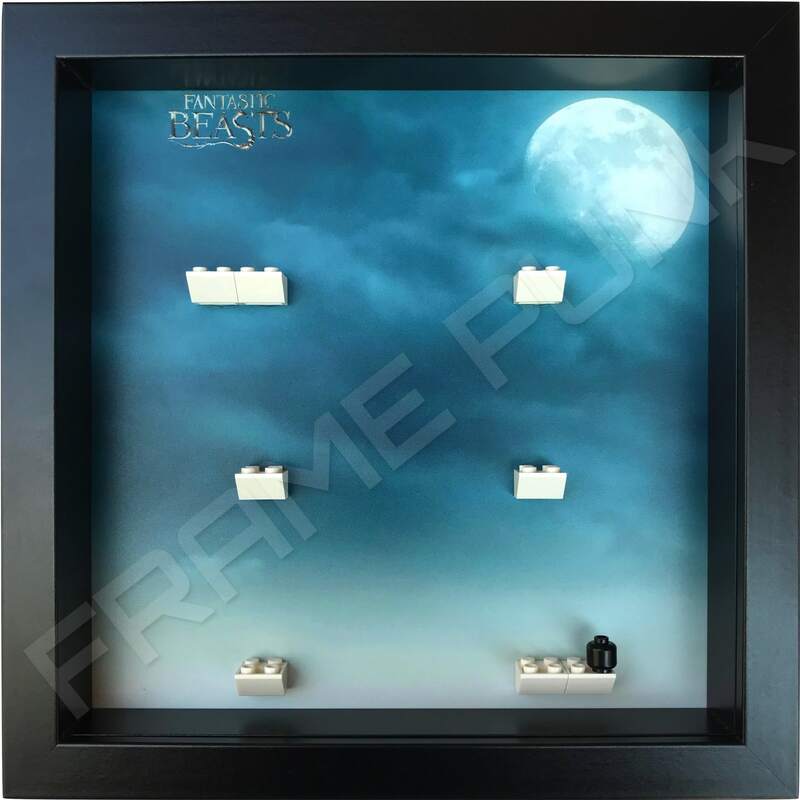 This set of frames can either be purchased in black or white, but if you wish to purchase them separately you may do so here. 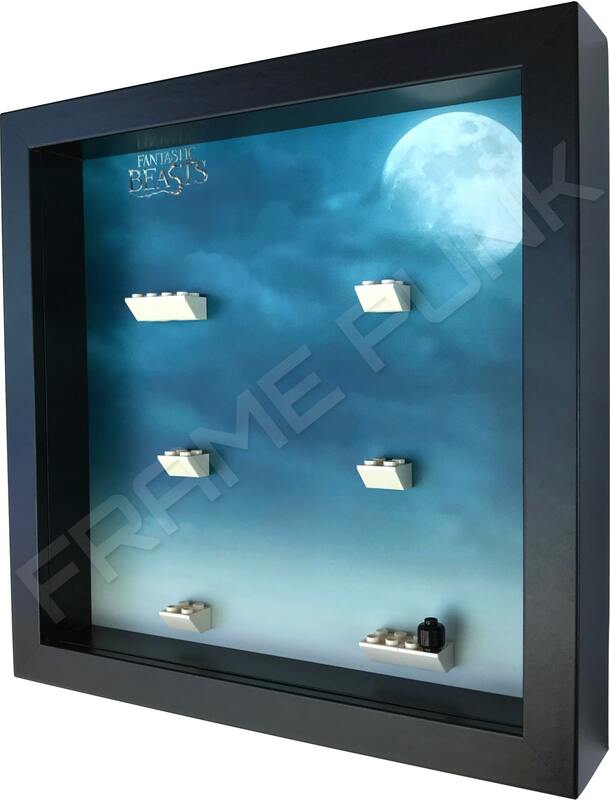 Like with all Frame Punk minifigure display frames, this background is professionally printed on to premium rigid display board. 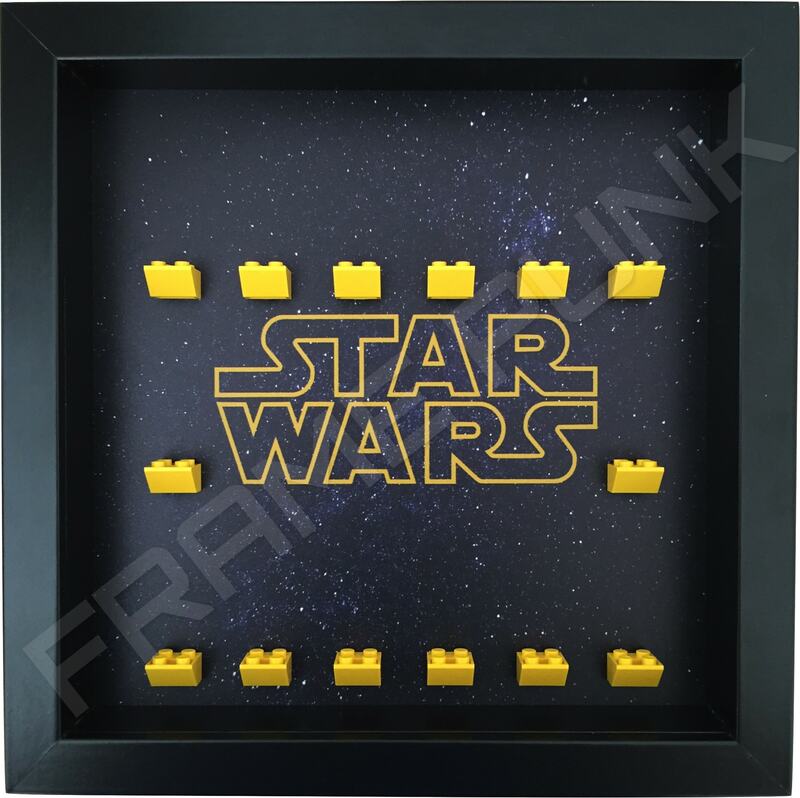 LEGO® is a trademark of the LEGO Group of companies which does not sponsor, authorise or endorse this product. 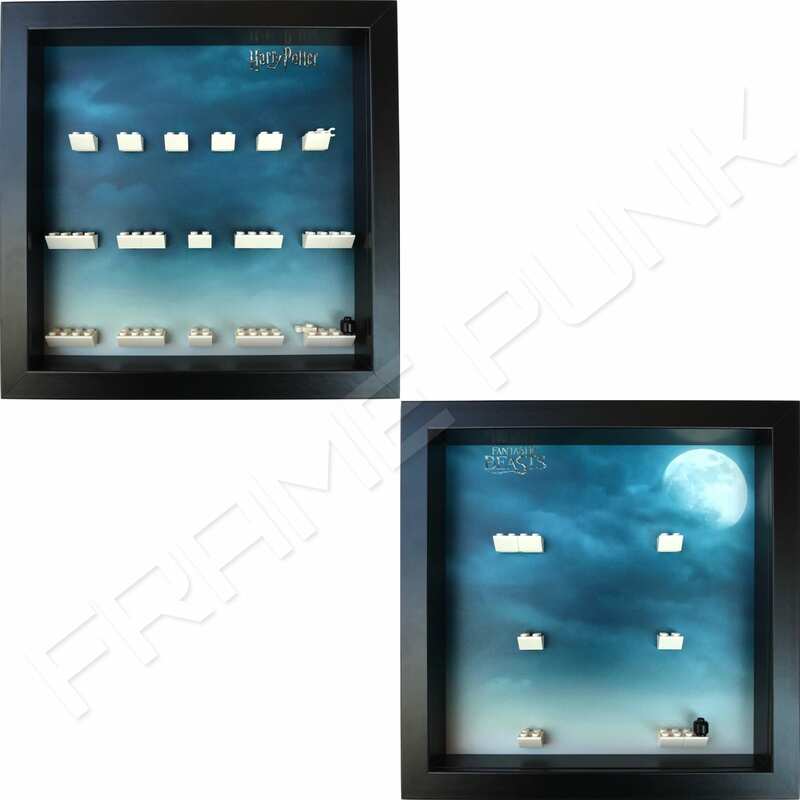 © Frame Punk 2019. All rights reserved.